Runner up in The Death House Competition. mumbled "I posted this on my other account but..."
I saw this during a midnight browsing session last night / this morning and my heart imploded slightly. 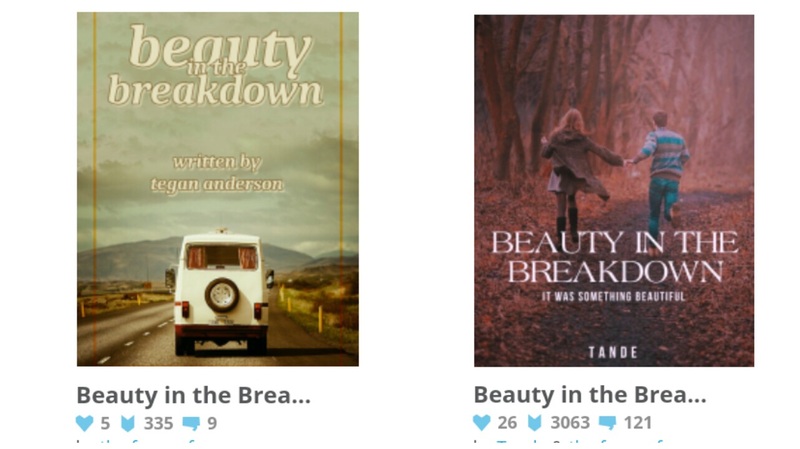 300 views on a rewrite and 3000 on the original Beauty in the Breakdown... I never expected to get anything near this when I first joined Movellas on Tande. I can't thank anyone enough for this. I feel the need to like and favourite and comment about my excitement from this account as well. The occasion seems worthy. Thank you once again for the cover: ireumeun.chloe // The romance of the summer begins. It will take a while. I wanna make this better than "Hiding Lies". I always get slightly confused when you say 'Hiding Lies' because I keep thinking the story is called 'Bubblegum Boy'. I've taken a break from Movellas, technically writing altogether, over the past few weeks. There's not really much of a reason, I just haven't felt motivated at all until recently. I made a new account called @[the force of storms] because I felt like a fresh start. This account will still be around but that one is my new main one. I'll be starting new stories, hopefully co-authoring a few, as well as trying to finish some stories on this one (insert Beauty in the Breakdown here). I also wanted to be more active in the community, even if it is only welcoming users, leaving feedback and commenting on blogs. I just thought I'd let everyone know in case anyone was interested in following me, reading my works, still. I WILL finish Beauty in the Breakdown. Thank you for a great time on this account. Cool, dear. Wish you all the best! Could you sign me up for next month?